The last two times our family has been on vacation, we've had people stay at our house in our absence. It's funny, because if it were complete strangers I would be super uncomfortable with people staying in my house when I'm hundreds of miles away. But since these are always family members of friends we know well, I'm totally fine with it. In fact, it's nice to have someone that texts you when your important package has arrived and been brought safely inside. 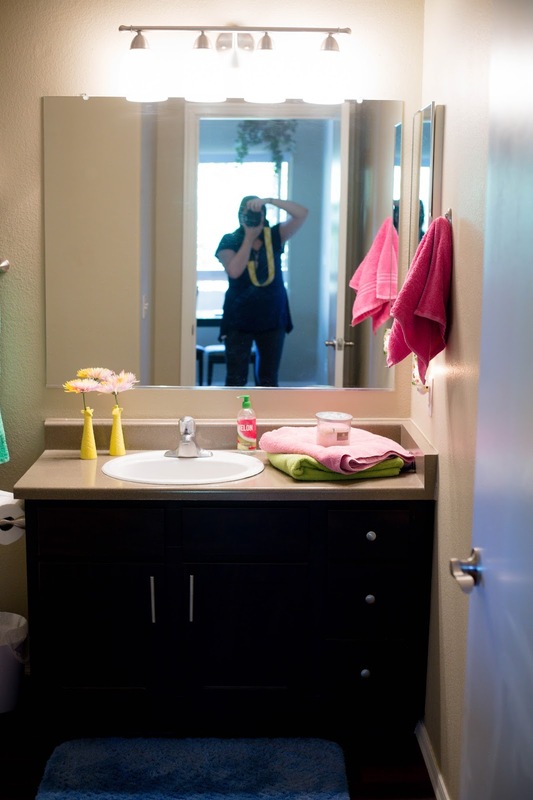 Today I wanted to share one of the more tricky parts about having houseguests: how to share a bathroom. Especially since our second bathroom currently doubles as children's bathroom. 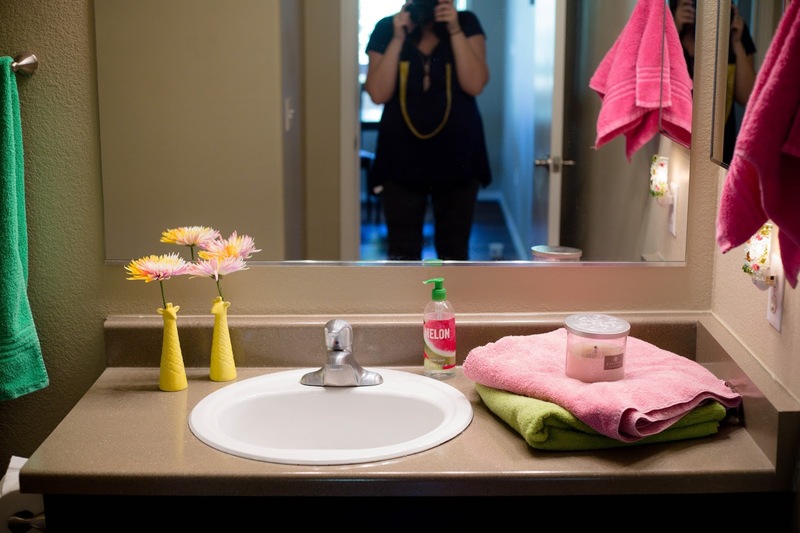 Here are a few tips I've picked up for sharing a kids bathroom with guests - whether they're here for a week without you, or just dropping in for a weekend to visit. It doesn't have to be fancy, but it does have to be clean. 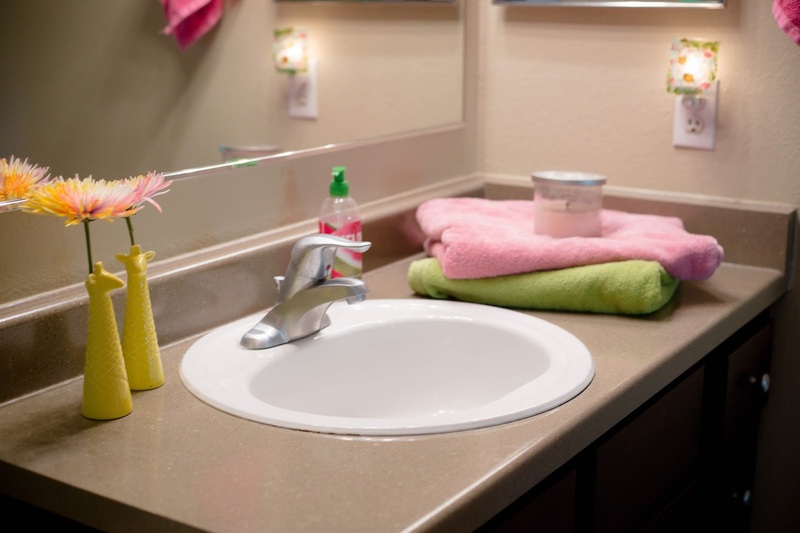 A definite must-do is making sure your children's bathroom is squeaky clean! Scrub that room from top to bottom. I also like to air out the room for a day or two. 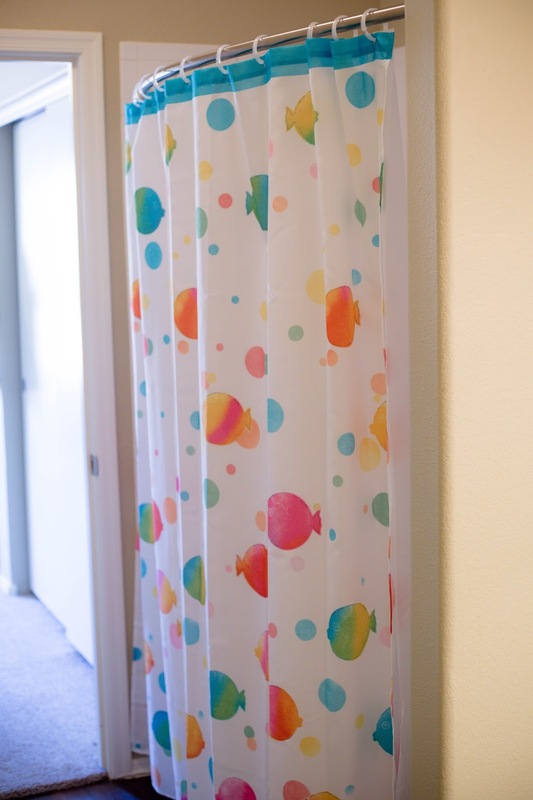 Our current kids bathroom doesn't have any windows (#apartmentproblems), so a nice air freshener and leaving the doors open for a few days is a must-do. It's okay to decorate for your kids. There is a time and place for neutral, professional-looking (boring) bathrooms. That place is hotels and first floor half baths, not kids bathrooms. Since the space is used primarily by your children, don't be afraid of bright and fun colors if that's your jam. There are so many cute home decor options here, but I ended up purchasing and loving this giraffe set to add color to the room. It holds Claire's toothbrush in everyday use, but I like to switch out the toothbrush for some fresh blooms for guests. 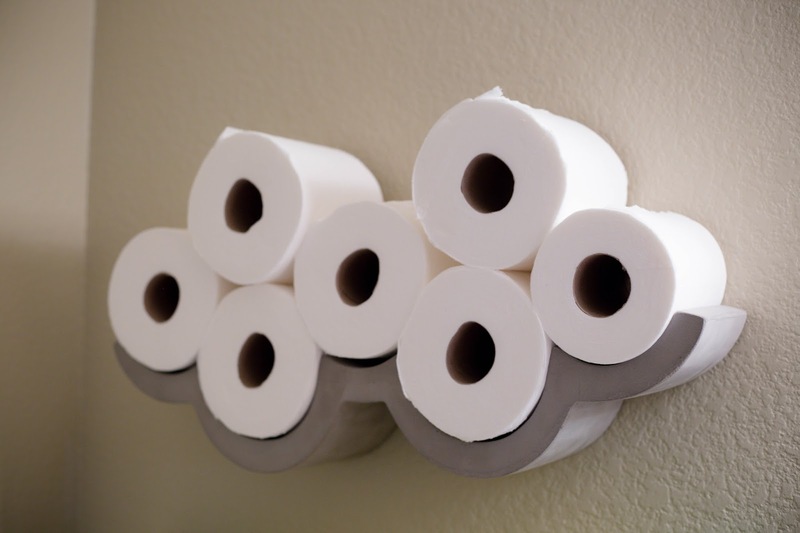 Stock the bathroom with essentials. Nothing is more embarrassing than running out of toilet paper and having to shout for more in someone else's house! It's also embarrassing to turn off the shower and reach for your towel, only to realize it's not there. 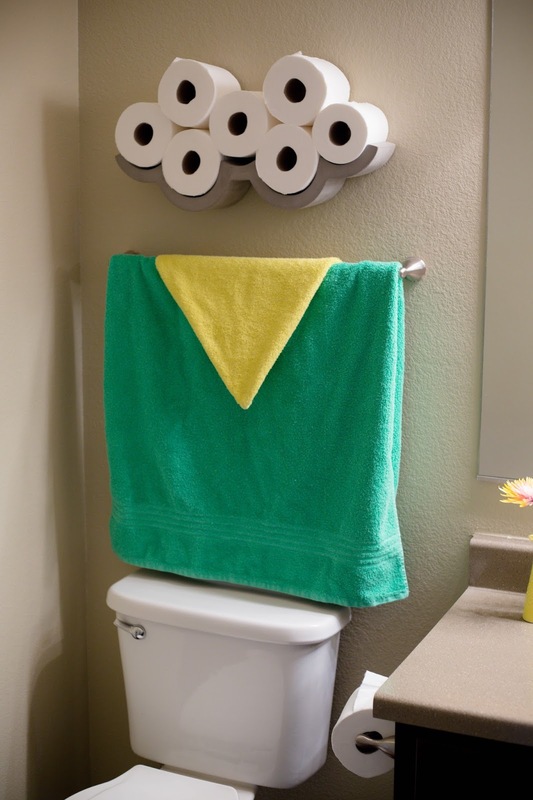 I make sure every towel in the bathroom is clean, and like to lay out extras as well. It's nice to tuck a toilet plunger in the corner as well. And as for toilet paper, I really really like this cloud display. 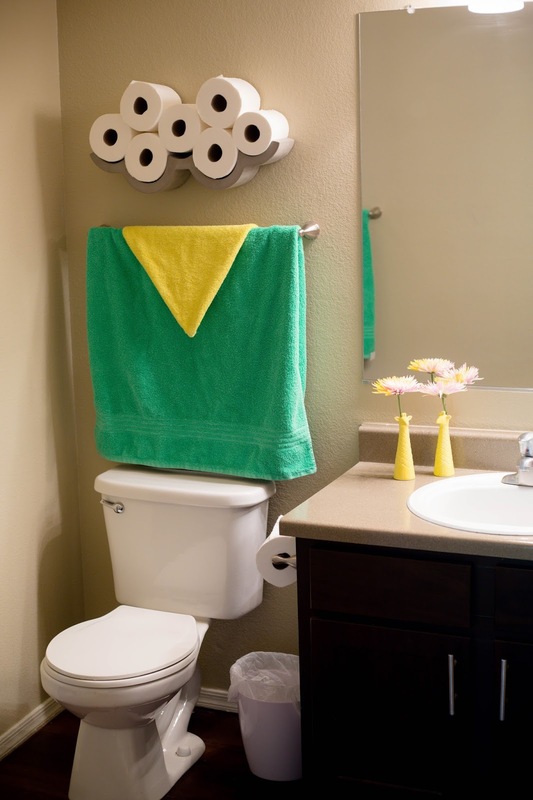 It's decorative, sure, but it's also very functional and prevents embarrassing toilet paper shortages. Did I already mention it's super cute?? I like to make sure the bathroom has a nightlight, so guests can find it in the middle of the night with a minimal amount of subbed toes, stumbles, and whispered curse words. Nightlights in bathrooms are also great for toddlers who are just starting to use the toilet at night and need to get there quickly. And since we're talking about toddlers here, we all know quickly means 0.003 seconds max. So if you're into booby trapping your house at night, definitely do not get a nightlight. 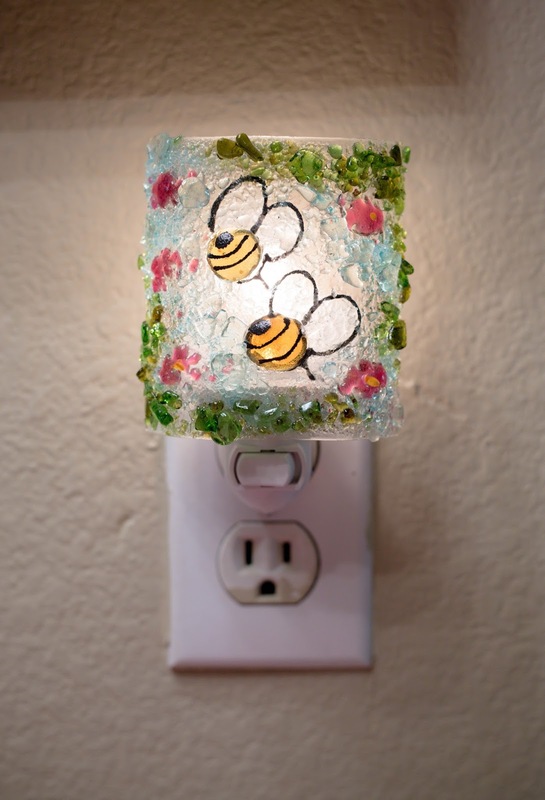 And definitely do not make it this adorable bee light (made from recycled glass!). Empty a drawer or two. Especially if your guests are staying for more than one night, it's nice for them to have some storage space. That way their toiletries don't have to be on display in the bathroom counter for everyone to see. (Look, everyone! Aunt Martha uses prescription strength acne wash!) Our little side mirror opens for storage, and I like to keep at least one drawer empty too. I also like to corral all the bath toys and shampoos to one corner as well so others have a place to put their shampoo. Thank you to Uncommon Goods for sponsoring this post (and for their decorative and useful products I really do love.) I'm currently drooling over their Mother's Day gift collection, and everything in their Mother's Day for Wives collection too. See more here!